If you’ve been anywhere near a transfusion service, or ordered blood components from one, you know that granulocyte products are special. Along with looking different (imagine a platelet bag, but a cloudier, bloodier one) and being transfused differently (within 24 hours of collection), they are a labor-intensive component for all involved in the process of transfusing them, from donor to patient. 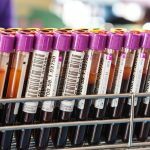 Here are 9 essential things you may not know about granulocytes, a specialty transfusion product that is often a mystery to those involved in collecting and transfusing it. 1. We aren’t totally sure that granulocytes actually work! In the nearly half-century that granulocyte concentrates have been transfused, numerous retrospective articles, case reports, and small series studies about granulocytes have been published. If you ask hematology-oncology docs, you will find a general consensus that granulocytes can be effective (including some really cool, almost miraculous-sounding stories!). Sadly, stories are not evidence, but the lack of evidence is not at all for lack of trying! Unfortunately for researchers, it is difficult to gather enough patient cases in statistically significant numbers to draw conclusions about the efficacy of granulocyte transfusion. For example, the “RING Study” (Resolving Infection in people with Neutropenia with Granulocytes) began in 2008 and was designed to gather evidence by randomizing eligible recipients into two groups: One that received granulocytes and one that did not. Unfortunately, the study failed to gather enough participants before closing in 2013 to be truly meaningful (though the data that was gathered did not show a substantial beneficial effect, according to data presented at the 2014 American Society of Hematology Annual Meeting). So, does this mean that granulocyte transfusions are a waste of time? Not from my perspective! It is very important to understand that granulocytes are often a last-ditch effort to gain control of a dire situation in an extremely ill patient; so expecting miraculous outcomes is not reasonable. Further analysis of the RING Study data DID show some benefit in patients who received significant quantities of granulocytes with each dose (see later). In my opinion, in limited settings, higher doses of granulocytes have value. 2. You can’t order this blood component STAT! Modern granulocyte collections are a multiple day process. Historically in the United States, granulocytes were collected by apheresis either from “walk-in” unstimulated donors (more common) or from donors given a single dose of oral steroids to increase their white blood cell count. The unstimulated collections resulted in a product with a total granulocyte count of about 1.0 x 1010 (Test tip: 1.0 x 1010 is the minimum requirement in at least 75% of collections, according to AABB Standards, and it’s a GREAT number to remember if you are studying for an exam!). However, if we have learned anything about granulocytes, we know that the minimum quantity to meet the standard just isn’t enough to affect a positive outcome in a neutropenic patient! This was shown in the analysis of the RING Study data mentioned above. 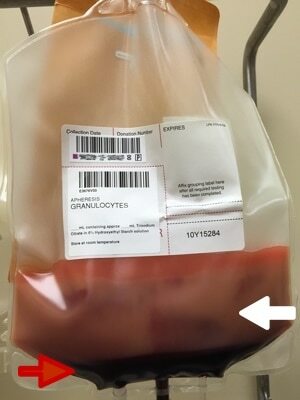 A “modern” granulocyte concentrate in the United States is collected by apheresis from a donor stimulated the day before collection with an injection of Granulocyte Colony Stimulating Factor (“G-CSF”), in some cases supplemented by an oral dose of steroids (typically dexamethasone). This regimen typically results in a product with a yield of 4.0 x 1010 granulocytes or more. So, granulocyte donation is a two-day process for a donor and collection staff. As an aside, granulocytes may be produced in different ways outside of the U.S. The United Kingdom, in particular, does not permit G-CSF or steroid stimulation of granulocyte donors that are not family or friends of the patient. As a result, non-family member UK granulocyte products are produced from pooled buffy coats from ten random donors, with a yield of approximately 1.0 x 1010 granulocytes. Traditionally, blood bankers have strongly resisted “prophylactic” granulocyte transfusions (for immunosuppressed patients without current evidence of infection but at high risk of acquiring one) or use in fever of unknown origin. There has been some debate about this recently, but most still believe (as do I) that granulocytes should only be given for patients who have an infection. Notice how the same 30 mL that makes the bottom of the bag look red during collection (figure 1) makes the whole bag look REALLY red after mixing (figure 2)! Granulocytes have pretty much the shortest shelf life of any product that we collect directly from donors. They should be transfused “as soon as possible” after collection, but definitely within 24 hours of collection. They are stored at room temperature, like platelets, but they should not be continuously agitated, unlike platelets. This out-of-the-ordinary storage is another reason that granulocytes are only collected on an “as-needed” basis. If the patient they are ordered and collected for doesn’t use them, there is very little likelihood they will be usable by any other patient during their short shelf-life. 6. No test results? No problem! Because of the short shelf-life issue above, granulocytes are almost always issued prior to the availability of infectious disease screening results! Don’t freak out, we don’t just ignore the possibility of infectious disease. 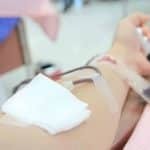 Blood centers will typically recruit unrelated apheresis granulocyte donors from recent apheresis platelet donors who have had negative results on a donation within the previous 30 days. We still perform the testing, of course, but the results just aren’t available in most cases before the product has to be transfused. This is an added risk, yes, but the time required for current infectious disease testing necessitates it. 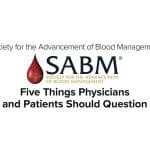 Ordering physicians are typically required to formally acknowledge that the product is being transfused prior to the test result availability. Since there are so many RBCs in each granulocyte product, the donor must be ABO- and Rh-compatible with the recipient, and the unit must be crossmatch-compatible with the recipient. By AABB Standards, if more than 2 mL of RBCs are present in any product, those RBCs must be compatible with the recipient’s plasma antibodies. In addition, if the recipient has an unexpected, clinically significant RBC antibody (like anti-D or anti-K, for example), the granulocyte donor must be negative for that antigen. To make matters even more challenging, if the patient has developed anti-HLA antibodies (most commonly seen in previously pregnant females), then the blood center should consider finding a donor that is HLA-matched or at least has an HLA type that is compatible with the patient’s antibodies (given the other constraints regarding granulocyte donors, providing HLA-selected granulocytes may prove extremely difficult). Blood bankers must remember which modifications CAN and CAN’T be performed on granulocytes. First, granulocytes CAN (and must) be irradiated to prevent Transfusion-associated Graft vs Host Disease (TA-GVHD). This is an extremely fresh product, full of highly active T-lymphocytes in addition to the granulocytes, and the recipient is immunocompromised, by definition. As a result, irradiation is essential to deactivate those donor T-lymphocytes and protect the patient from TA-GVHD (see figure 3 below). Note that the dosage of irradiation used in the U.S. (2500 cGy targeted to the center of the bag) will deactivate the T-lymphocytes, but will NOT impact the function of the granulocytes significantly. For more on TA-GVHD and irradiation, see the video on irradiation of blood products elsewhere on this site. Second, granulocytes CAN’T be leukocyte-reduced. Every now and then, people will ask me about leukoreducing granulocytes for prevention of Cytomegalovirus (CMV) transmission from a CMV-positive donor. Rather than make fun of them, I usually just sit quietly while they work it out themselves (“OK, let’s see: granulocytes are WBCs, or ‘leukocytes,’ so if I leukocyte-reduce a unit of a product that is primarily composed of leukocytes, I would be left with…nothing! OHHHH!”). As a result of our inability to make a granulocyte product “CMV-safe” by leukoreduction, CMV-seronegative donors will be recruited to provide products for CMV-seronegative patients whenever possible. Note that it is totally fine to run granulocyte concentrate through a “standard” transfusion filter, just not a leukocyte reduction or microaggregate filter. 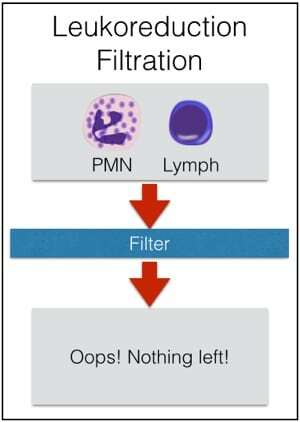 Figure 4; Don’t leuko-reduce granulocytes! Irradiation is not only OK for granulocyte concentrate, it is essential! 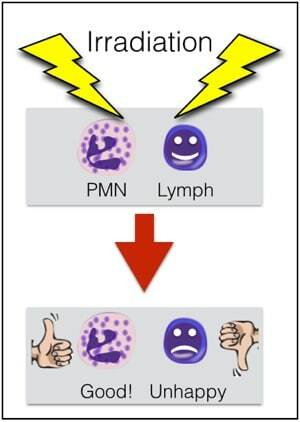 Leukocyte reduction, on the other hand, makes no sense for granulocytes, and shouldn’t be done. Granulocytes are famous for causing transfusion reactions much more often than other components. The two issues that are seen most often are fever and chills (without hemolysis) and pulmonary reactions. I won’t discuss the self-explanatory fever and chills issue, but the pulmonary reactions are worth mentioning here. Considering that current thought suggests that neutrophils are the primary cell involved in the pathogenesis of Transfusion-related Acute Lung Injury (TRALI), it is not surprising that granulocyte transfusions are thought to cause pulmonary compromise quite often (5% in one study). Granulocytes LOVE the lungs, and they localize there very quickly (especially when the infection being treated is pneumonia). So, even if full-blown TRALI does not occur (which certainly CAN happen! ), granulocyte transfusions are notorious for at least transient pulmonary compromise. Clinicians should be prepared to manage dyspnea and hypoxia during granulocyte transfusion, and certainly, full-blown TRALI can occur, as well. Note that the previously suggested “link” between more pulmonary reactions when granulocytes were given with the antifungal Amphotericin B seems to be disproven (though many still advise avoiding transfusing granulocytes within a few hours of administration of that medication). As mentioned in point 4, TA-GVHD is a risk for a fresh product, so irradiation is required. Further, HLA alloummunization can certainly occur as a result of granulocyte transfusion. There is no question in my mind that granulocytes CAN, in some circumstances, appear to make a difference for patients. Unfortunately, there’s not a lot of objective proof that they are a predictably helpful treatment. However, given our current ability to collect granulocyte products with substantially higher yields than in years past, I expect that interest in this product will continue despite the lack of “proof” of its effectiveness. And in the meantime, between now and (hopefully) the objective evidence we will amass into the future, I hope this list of granulocyte facts will keep you from responding, “Granny-what?! ?” the next time this unusual, special product is ordered. 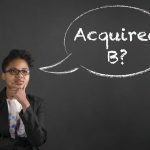 A previous discussion on this topic was originally posted on the previous version of the BBGuy site (as well as on ASCP’s “Lablogatory”) in 2015. This post was updated and modified July 1, 2016. Great blog, I love this conversational style. Even the Green bean can get it! What is the usefulness of granulocytes given for fever? Does this require non-responsiveness to antibiotics? Granulocytes given for fever alone, Joseph? Without a proven infection? Most people (myself included) would say that without a proven infection, giving granulocytes is really not indicated. The reality is that, as this post said, we don’t even really know for sure that granulocytes work when we have a known infection and we are treating something specific! To give them for a person that has an persistent fever alone would really be a stretch, and one that I personally would not support. But perhaps I misunderstood your question. Please let me know if so. Thanks for explaining this topic. I am studying for my ASCP MLS exam and I never understood the need for crossmatching granulocytes until now. AND I have a visual image to rely on! THANKS!!! You are very welcome, Andrea! Thanks for writing. I just discovered this site. I am going to sit for my MLS ASCP soon, and I was trying to remember how to read an antibody ID panel. We don’t do extended Ab ID here. Now I know a place to get all my blood bank questions answered. This was very informative concerning granulocytes. I am so glad you love your job so much. Well, that’s a really great compliment, Leslie (“I am so glad you love your job so much”)! Thanks! I do love what I do, and I’m very happy that the site is helpful to you. 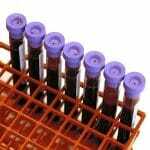 How much is expected to raise WBC each unit of granulocyte concentrate??? (both the induced and the non-induced) please. The issue is really not so much a numerical increase, because the goal is to have a clinical effect, not increase the count to a pre-specified number. In other words, I don’t really care how much the count goes up (and, given the wide variation in total granulocytes that can be seen in granulocyte products, it’s unpredictable anyway); I care that the patient is overcoming their infection. I’m sure that you could do calculations and see what the number might be, but a) any effect would be VERY temporary, as the granulocytes don’t need to be circulating, they need to be fighting the infection, and b) it doesn’t really matter anyway, in my view. Just a few questions. Why are granulocyte products only used in the cases of infections. Why would we not try these out on immunocompromised or immunosupressed individuals? Seems that these persons would benefit, no? Of course, after rereading the article I noticed I must have missed the part where you explain the different situation where granulocyte would be use. Makes more sense now. Gotta love when you answer your own question! Happens to me all the time, Kelsey! Glad you found the article helpful. Joe you’re the best! I’m cross training in bb and I literally had to go back to the basics. First time I’ve ever seen granulocyte product order and I got all my questions answered as usual! Thanks for sharing your knowledge! Thanks, Anna. Happy to help you! Joe, As a long time donor of platelets and plasma, I was asked to participate in “Granulocyto Pheresis” donation in August of 2010. My donation went well and I hope that donation was effective for the patient. Thank you for helping me understand how important this type of donation can be. God Bless. Alan, I’m really glad that you got the opportunity to assist a patient who was surely in great need! Thanks for being a donor! Thank you for this review. 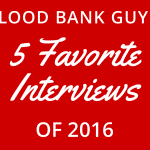 I have been introducing blood banking and transfusion medicine to med undergrad, and your blog is very, very handy! I’m glad to help you, Flavia, especially with your educational efforts! Joe, I’ve donated granulocytes six times. Three in 2010, twice for my mother and once for a young man in desperate need. In 2016 I donated three times for my niece. 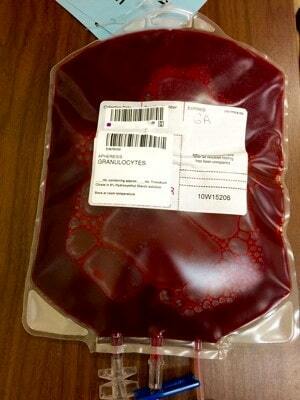 I was told that in a life time a person can only donate granulocytes eight times. Why is that? Julie, there is no universal rule on this issue, and individual blood centers have to make their own decisions on whether people can be repeat granulocyte donors, and if so, how often. 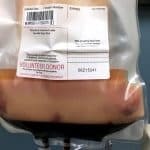 The issue, generally speaking, is usually related to the hydroxyethyl starch given to the donor as part of the collection process (I don’t really talk about it in this article, but it’s used to help separate the granulocytes from the red cells during collection). Some centers that use dexamethasone for stimulation will also limit collections, again, as a way to keep the donors safe. Finally, Julie, thanks so much for being a granulocyte donor! You are awesome! Why its stored at room temp while stem cells must be stored at 1-5 degree? What are your thoughts about not irradiating granulocyte products in certain cancer populations? Hmmm, not sure I’m aware of what you are referring to, Adriana! Can you be more specific? Hi Joe! 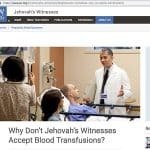 I am a recent student of blood transfusion, I work as a biomedical scientist in the UK and was recently told of your blog by a colleague. First of all thank you, your blog and podcast have definitely helped me grasp some of the concepts of transfusion medicine, I felt it to be quite overwhelming at first but I am starting to get to grips with the profession. We recently had a patient who needed regular granulocyte transfusions, I believe the patient is doing well at the moment but in terms of laboratory procedure, we were told to crossmatch each unit of granulocytes manually and then issue them to the patient however, there was no procedure for what to do if the patient was incompatible and we were told to issue the units anyway, can I ask your thoughts on this, would you transfuse the units if, like in this case, the patient was seriously ill and needed the units? Adam, your question is interesting. According to AABB Standards, when a blood product contains more than 2 mL of RBCs, those RBCs must be crossmatch-compatible with the recipient’s plasma (that’s called a “major crossmatch“). Granulocyte units have more than 2 mL in every circumstance I’ve ever seen personally, so a granulocyte unit would fall under that standard. However, local medical directors always have the ability to waive that requirement based on a multitude of factors (patient need, rarity of unit, or more commonly, broadly reacting antibodies like autoantibodies that render every transfused unit incompatible). So the bottom line is, that decision is up to the local medical authority. 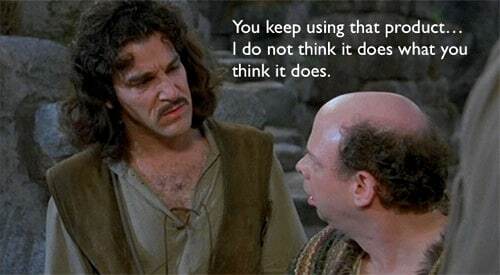 I admit I’d be a little surprised at an attitude of “we don’t know why it’s incompatible, but transfuse it anyway,” but again, that’s not my call. Thanks for the kind words, and best wishes! Today I was asked to donate granulocytes for the first time. 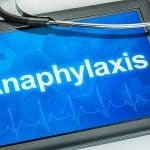 This article is very helpful to understand why. I fit the donor profile you give to a T.
That’s fantastic! Thank you so much for helping a patient in need. I have a new podcast episode coming out about granulocytes in the next month or so, so please check back for more information. Very interesting, I wonder if someday, perhaps a cell culture of granulocytes could be utilized. if it were possible to simply grow them, while very difficult to do now, would offer better product with no risk of transmission of Blood borne retroviruses. 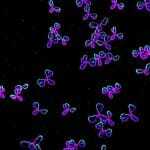 Perhaps, it might even be possible to remove or alter the antigens presented on the surface of them, via cell culture, to offer a product without stimulating antigens on it. I think the future is likely to look very different on many fronts, as things are changing quickly on the cellular therapy front. I’m not aware of the kind of development you are describing, but it wouldn’t surprise me if such a thing happened at some time on the horizon.